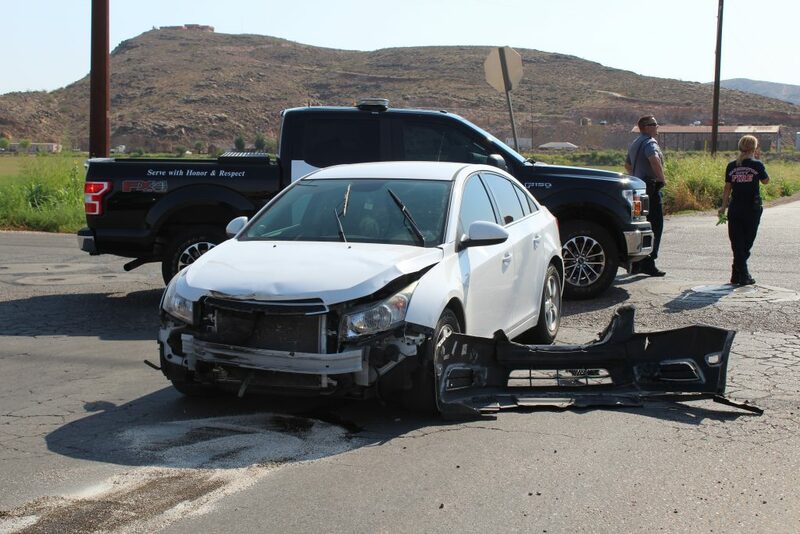 ST. GEORGE — Failure to yield at a stop sign Monday resulted in a rollover collision at the intersection of 20 East and South Nichols Peak Road in Washington City, according to police. 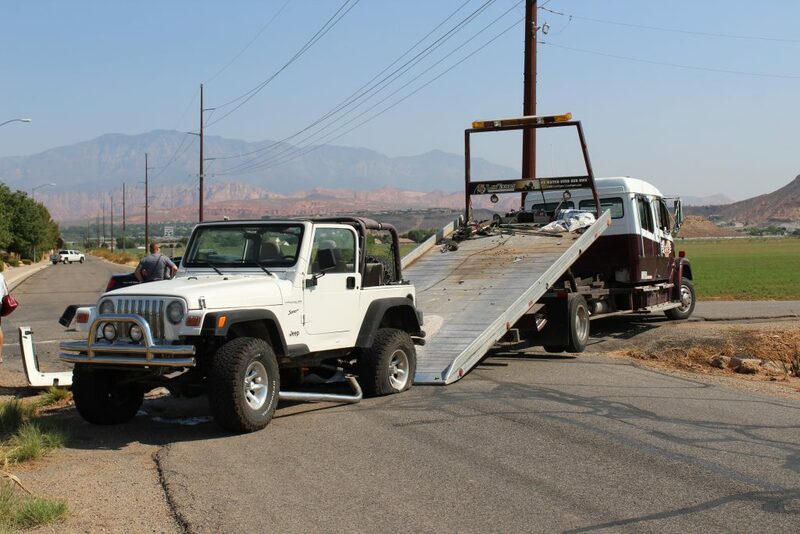 At approximately 9:40 a.m., the driver of a white Chevrolet Cruze that was traveling west on Nickles Peak Road failed to yield at the intersection after stopping at a stop sign and crashed into a white Jeep Wrangler that was heading south on 20 East, Washington City Police Lieutenant Jason Williams said. 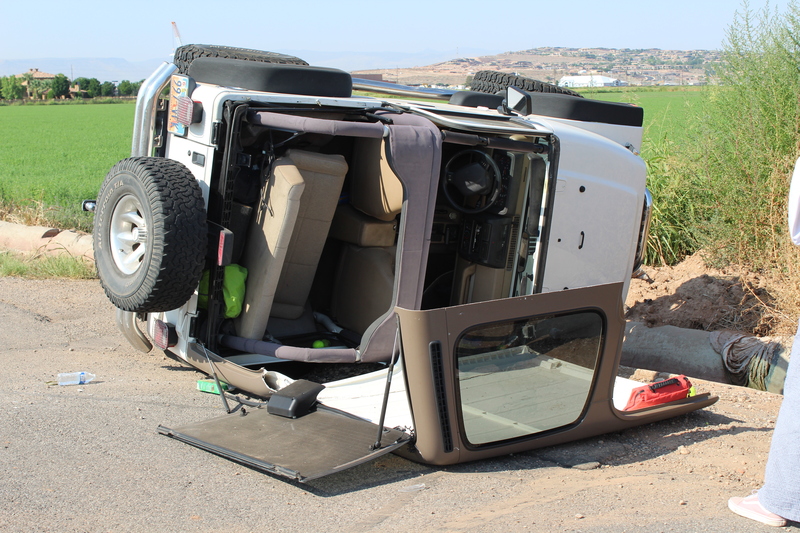 The crash caused the Jeep to roll over on its side. 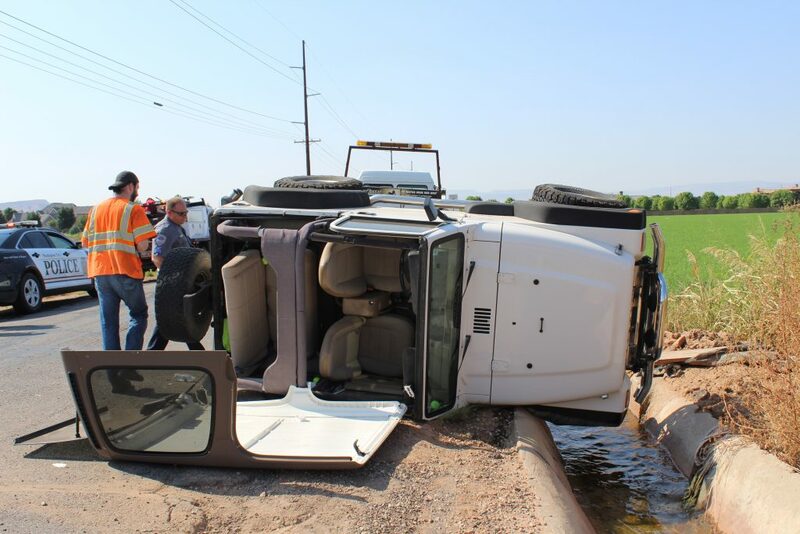 Both drivers involved were female juveniles and were wearing their seat belts. No injuries were reported. 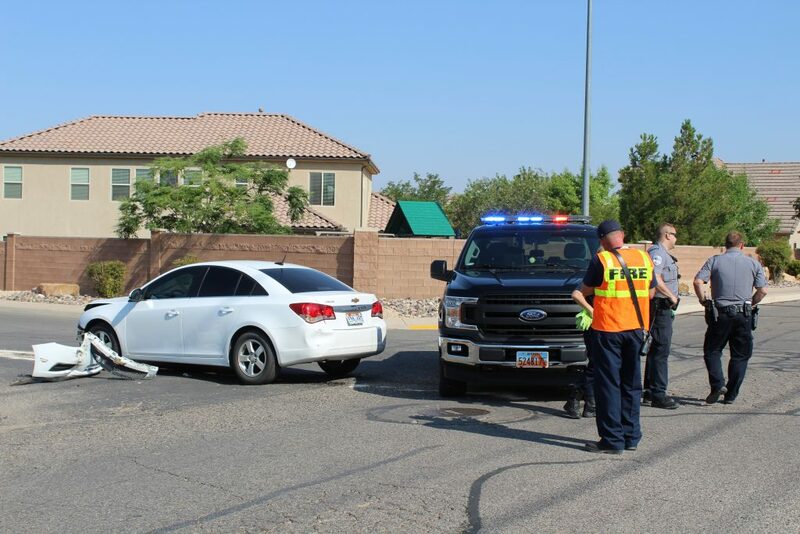 The driver of the Cruze was issued a citation for a stop sign violation. Surprise !! Someone failed to stop at a stop sigh here ! !